The motivation for credit repair is obvious: lower interest rates, better insurance premiums, greater opportunities, etc. Consider your motivation twofold when faced with legal troubles. Although the average debt doesn’t warrant jail time, there are a few scenarios where bad credit = bad citizen. Child support is one of several court orders that may be issued during divorce proceedings or a custody hearing. If you have been ordered to pay weekly or monthly child support, it is your responsibility to meet your obligations in full and on time. Like any other required payment, failure to pay will lead to credit damage, but the bad news doesn’t stop there. If you can’t provide a good reason for non-payment, a judge is likely to find you in contempt, garnish your wages, and put you in jail. Do yourself and your children a favor by taking responsibility for their needs. Credit repair is optional; paying your taxes is not. Avoiding state and federal income taxes will do more than damage your credit score. 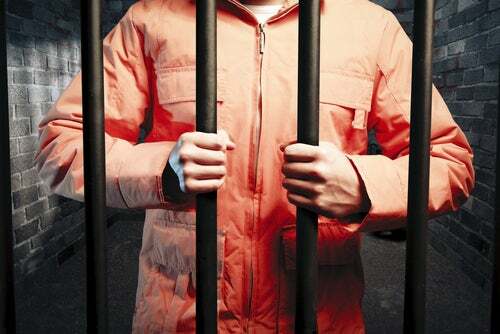 Willfully defrauding the government is a fast way to land yourself behind bars. The keyword here is intent. Uncle Sam won’t send you to jail for losing your job or being otherwise unable to pay. However, it is your responsibility to file the necessary extensions before Tax Day. Contact your local IRS branch to learn more about your options. Jail should not be on the list. • Failing to appear in court. Tom owes more than $1,700 in unpaid medical bills and failed to appear in court when his doctor filed a lawsuit to collect the debt. He was served with a summons last month that ordered him to appear before a judge on a specific date to address the issue. Tom is now worried that the judge may find him in contempt of court. Tom is about to learn a hard lesson about debt and communication. A better choice would have been to avail himself of the court system. A judge is unlikely to throw you in jail if you have a good reason for unpaid bills. On the other hand, the court’s sympathy wears thin if you attempt to avoid the issue entirely. Whether or not you end up in jail, contempt charges and monetary fines are a definite possibility. Don’t let fear motivate your actions. Begin by telling the truth and using the resources available. Jail time is the last stop on a road with many second and third chances. Do your best to take a detour when it’s offered.